In the Hyderabad, India there are many tourist places to visit. There are many places to visit like National Parks, Museum, Fort, Temples etc. Lumbini Park is one of them. Lumbini Park is adjacent to Hussain Sagar. This park covers an area of 7.5 acres. This park was developed by the Hyderabad Urban Development Authority in the year of 1994. 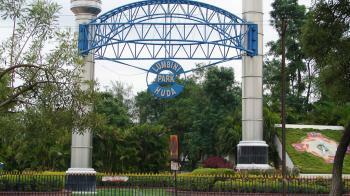 Lumbini Park has been named after birthplace of Lord Buddha. Lumbini park attracts many tourist. It is a best tourist place. This place is best for picnic Nature lovers, Photo Fanatics, Nature Lovers, Adventure Seekers etc. The Lumbini Park has become an ideal place of relaxation. 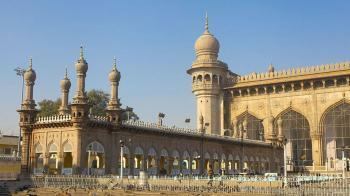 In the Hyderabad, India there are many tourist places to visit. Shamirpet Lake is one of them. It is an artificial lake or man made lake. 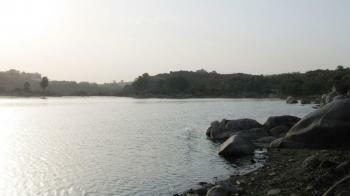 This lake is located 24 km from Secunderabad. This lake was built during the Nizam region in the 19th century. Shamirpet Lake lake was dug more than 50 years ago by the Jagirdar of Shamirpet area to serve as the source of water in the near vicinity. Shamirpet Lake was then identified as the point of interest and Andhra Pradesh government took the charge of developing it. During winter, migratory birds set home at the lake. This place is best tourist place. This place is best for Nature lovers, Photoshoot etc. It is a good picnic spot. Many visitors come in this place. At a distance of 11 km to the west of Hyderabad, India there is a historical fort for visit called Golconda Fort. 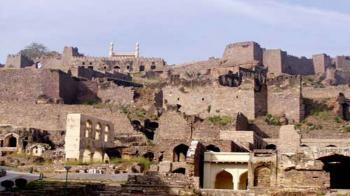 Golconda Fort is also spelled by Golkonda Fort and also known as Golla Konda and Gol Konda. This place is famous for History Buffs, Photo Fanatics and Adventure Seekers. The ideal duration of this place is 2-3 hours. The altitude of this place is 400 ft. Golconda fort is one of the magnificent fortress complexes in India. In the Hyderabad, India there is a Museum to visit called Birla Science Museum. The museum called B.M Birla Science Museum. This museum is an Indian Science Museum. This Museum is established in 1985. Museum was constructed by Civil Engineer Mr. P. A. Singaravelu. The museum include planetarium, museum, science center and Art gallery. The ideal duration of this place is 2-3 hours. This place is famous for History Buffs. Birla Science Museum is the popular place in Hydrabad. Many Visitors come here to explore their knowledge. This place is best for Science lovers. Birla Science Museum has divided into many sections and each section provides amazing set. In the state of Telangana, India there is Zoological park situated in the district of Hyderabad known as Nehru Zoological Park. This park is also called by Hyderabad Zoo. This park is located near the Mir Alam tank. The zoo spread 380 acres area. This park is most visited place in the Hyderabad. This park is preferred by Nature Lovers and Photo Fanatics. The ideal duration of this park is 3 to 4 hours. This park was established in the year of 1959 but opened to the public in the year of 1963. 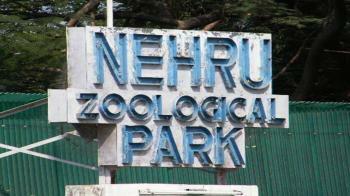 The zoo was named after the Pandit Jawaharlal Nehru. This zoo is the attraction of the city. There are many numbers of animals and species in this zoo. The number of animals are 1100 and number of species are 100 in this zoo. The species are birds, animals and reptiles etc. and the animals are Bengal tiger, Asiatic Lion, Gaur, Indian Elephant, Deer, Python etc. The major attraction of the zoo is Safari riding. Other attractions of the zoo are Train ride, elephant ride and the natural history museum. 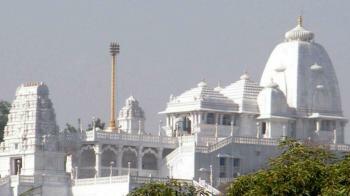 Birla Mandir is located on the top of the hill called Naubat Pahad at an height of 280 ft covering an area of 13 acres. Temple is dedicated to Lord Venkateshwara of Tirumala Tirupati Temple. It is said that for the construction of the temple whopping quantity of white marble, which is almost 2000 tonnes, was brought from Rajasthan. 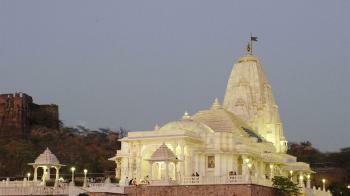 It took 10 years to built the temple and the construction was done Birla Foundation. The temple was opened by Ranganathananda in the year 1976. 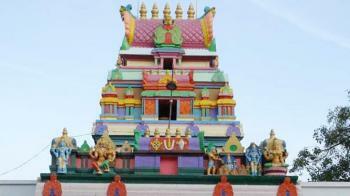 In the state of Telangana, India there is a famous temple of Bala ji in the district of Hyderabad called Balaji Temple. This temple is located in the Chilkur village. This temple is also known as "Visa Bala ji Temple". This temple is Situated in the bank of Osman Sagar. This is Holy Hindu temple and one of the oldest temple in the Hyderabad. In this temple there are many number of devotees come in every week. There is Heavy rush on Friday and Saturday in this temple. It is popular pilgrimage. This temple was built in 500 years ago. The unique features of this temple is that it does not accept any money from the devotees, there are no special access given to VIPs and is not under the government control. The Temple has very pleasing architecture. The devotees feel very peace in the temple. NTR Garden, a small public garden covering an area of 55 acres is situated in Hyderabad. The garden is adjacent to Hussain Sagar lake. The garden is the one of most expensive gardens in India. 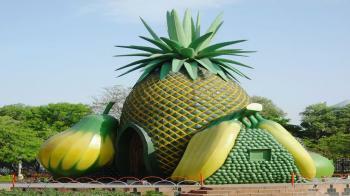 The park was created by the Government of Andhra Pradesh in order to honor the respectable leader Late N T Rama Rao. The garden is not only the beautiful place of Hyderabad, but is also regarded as an attractive leisure and entertainment centre. The garden is maintained by the Buddha Purnima Project Authority under the directives of Government of Telgana. Char minar is the most famous Historical place of Hyderabad, a magnificent and striking historical monument with four graceful minarets. 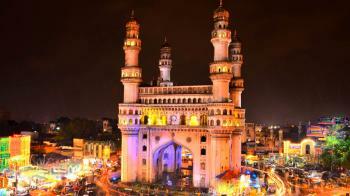 It is the most recognisable symbol of the city of Hyderabad. No visit to Hyderabad should be undertaken without visiting the grand and majestic centerpiece of the city that is Charminar. The Charminar gets its name from the four minarets (towers) standing in the four corners of the structure. It is a must visit for people who like the heritage structures and culture. Walking on the streets near Charminar is a different experience. There are a number of shops around this area. The Charminar is as much the signature of Hyderabad as the Taj Mahal is of Agra or the Eiffel Tower is of Paris. Charminar is constructed in Islamic architecture. It is in a square shape, with the four minarets in each of the corners. It has four imposing arches, which face the four main directions. In the state of Telangana, India there are many places to visit. Hyderabad district is one of them. In the Hyderabad there are many religious places to visit. Makkah Masjid is one of them. Makkah Masjid is also known as Macca Masjid. It is one of the oldest mosques in Hyderabad. Devotees can spend 2-3 hours in this place. There is no entry fees. Makkah Masjid is a heritage building in the old city of Hyderabad, close to landmarks of Hyderabad like Chowmahalla Palace, Laad Bazaar, and Charminar. This mosque was founded by Muhammad Quli Qutub Shah who was the fifth ruler of Qutub Shahi dynasty. In the construction of this mosque more than 8000 workers were employed. Muhammad Quli Qutb Shah personally laid the foundation stone. This mosque has the capacity to accommodate 10,000 worshippers to offer prayers at a time. The lenght and width of this mosque is 67 mt. and 54 mt. respectively. The height of the mosque is 23 mt. In the state of Telangana, India there are many places to visit. Hyderabad district is one of them. In the Hyderabad there are many tourist spots. Hussain Sagar Lake is one of them. It is very popular tourist spot. 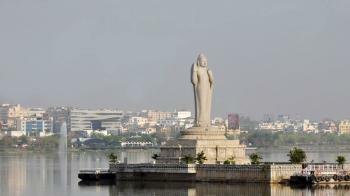 Hussain Sagar is situated 2km away from the heart of the city . The lake connects two parts of the city i.e Secunderabad and Hyderabad to each other. There are many attractions near the lake. The most popular attraction is Sailing in this Lake. This place is best for Nature lovers. Visitors can spend 1 hour easily in this place. This lake is an artificial lake. The maximum length of this lake is 3.5 km and maximum width of this lake is 2.5 km. It covers an area of 4.4 square km. It is fed by River Musi. It is largest artificial lake in Asia. Copyrights © 2017 All Rights Reserved by Travel Blog Pro. Powered by Reflex Infosystems.